The direct and long-lasting impacts of wars and armed conflicts on the environment, and subsequently on human health, has long remained an ignored and under-reported issue. Largely, this was due to the difficulty to identify, assess and monitor conflicts due to security issues during ongoing wars. But also partly because of a lack of knowledge on the long-term consequences for civilians affected by conflict pollution and the time it takes for health issues to manifest themselves. The handful of examples that did hit the news were often related to major catastrophic events, such as the burning of 600 oil wells in Kuwait. Yet there are numerous other, smaller types of environmental damage that can result in human health problems or affect social-economic conditions that have severe impacts on local communities or countries in general. In this blog I will briefly dive into how access to open-source imagery, and particularly Sentinel Hub, has been instrumental in highlighting the links between conflict and environmental damage and why the international community should and can do more to include open-source imagery analysis in conflict-monitoring and post-conflict assessments. The rise of open-source information through a myriad of means, including satellite imagery, has brought ground-breaking opportunities for researchers to actively seek information that can support fact-checking exercises. For example, to verify claims made by governments or monitoring conflict as they develop. Recent examples are academic arms control experts monitoring build-up of nuclear programs in North Korea, the murder of civilians in Cameroon or investigative journalist proving war crimes committed in Libya. In this line of work, satellite imagery proved to be crucial in holding governments, non-state actors, companies and individuals accountable for their actions. 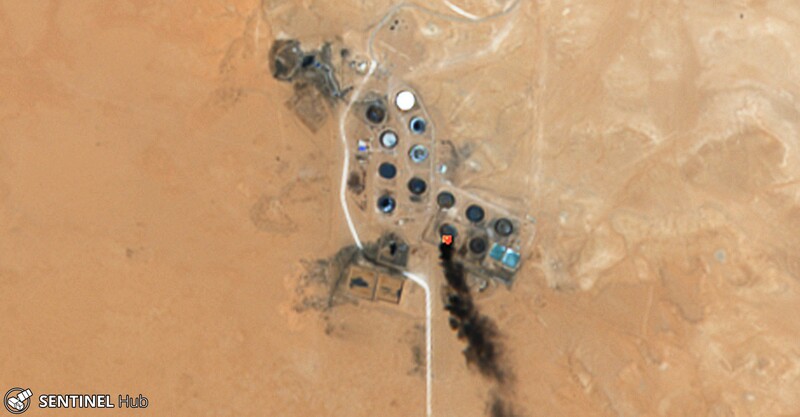 This could either be high-resolution (paid) imagery, or open-source satellite info from Google Maps. More information on the pros and cons can be found in this helpful overview on ‘Satellite Imagery for Human Rights Monitoring’. In a similar way, this development also helped organisations working on conflict and environment, such as my own organisation PAX, to explore innovative approaches to actively monitor environmental damage and conflict pollution caused by armed conflicts. Earth Observation (EO) in particular has been instrumental tool in the wide set of Geo-information System (GIS) applications that can be utilized in conflicts research. Identifying, assessing these environmental impacts can help building a clear picture on what is happening on the ground, and that data can be used by humanitarian organisations in their response work during the conflicts, make post-conflict environmental assessment more efficient and effective by timely collecting data on potential environmental hot spots and lastly, help relevant authorities setting priorities for reconstruction in the post-conflict phase. One source that proved to be useful is the imagery provided by the joint European Commission and European Union’s Space Agency’ s Copernicus program. And in particular the Sentinel-2 data, which is made available for free to the general public. In the past, our conflict-pollution monitoring mainly relied on NASA’s Landsat 8 data, which had to manually be downloaded and viewed from the Earth Explorer website. This was a first-step and has been of great help in the beginning of our work. For an amateur enthusiast like myself, that only had a basic training in GIS through the excellent UNITAR ‘GIS in Disaster Management’ course, this proved to be handy yet time consuming. When Sentinel Hub launched its EO Browser and Playground portal, this was a welcome development that made life much easier and enabled us to actively track and trace emerging environmental issues in armed conflicts. Of course, this story would be worthless without giving some useful examples, so below are some key moments where we captured significant environmental threats caused directly or indirectly by military activities. Most of the world’s attention went to the oil fires in Qayyarah, where the so-called Islamic State applied scorched war tactics by sabotaging 19 oils wells. This resulted in eight months of flames and large plumes of smoke blocking the sun, while oil sooth settles down hundreds of kilometers down wind. Nearby villages and their inhabitants, including and IDP camp hosting thousands of men, women and children that fled the violence in their hometowns, lived under the black clouds. However, in the nearby Hamrin mountains, another local environmental catastrophe unfolded. When retreating from attacking ISIS attacks in 2014, local engineers ensured that the oil wells could not be used. As oil generated income for ISIS during their occupation of the area, the group tried to reactivate some wells using water pump systems, which was bound to go wrong. We picked up an 11km oil spill with Sentinel-2 that initially started beginning of January 2016. Ground verification came from Iraq Oil Report journalists who were able to visit the area later on. Early summer, reports from social media and local news sources indicated an uptick in wildfires on the border of Iraq with both Turkey and Iran. The scorching summer heat wave resulted in dry areas, and a little spark was sufficient to set whole areas on fire. The sparks came from various sources, though a significant part was caused by military activities. Turkish and Iranian armed forces shelled various Kurdish militant groups that have their bases in the mountain areas on these borders. EO Browser was in particular helpful through color infrared (Vegetation) that creates a sharp contrast between health vegetation and burned land. The full research article can be found on the Bellingcat website. In our ongoing conflict-monitoring in Syria we have a particular focus on the oil-rich Deir ez Zor and Hasakah region. The 2015 PAX desktop-based report ‘Amidst the debris’ set the stage for identifying a range of sources that related to environmental damage, conflict pollution and health impacts. By applying the Flash Environment Assessment Tool (FEAT), we could identify potential environmental risks associated with pollutants present on-site of various industrial areas that were targeted during the conflict. Though the ongoing conflict continues to have acute and long lasting environmental impacts that needs monitoring. Smoke rises from hundreds of artisanal oil refineries, Deir Ez Zor province. July 12, 2016. On a number of occasions, the targeting of oil refineries, well heads and other related petrol infrastructure under control of ISIS resulted in major spills and fires, while ongoing activities at these locations to extract and store crude oil resulted in more incidents. 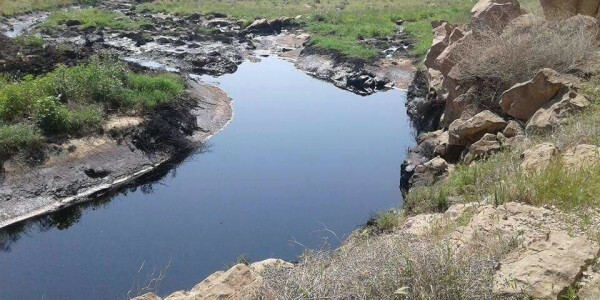 While near Rmeilan, the oil city of north east Syria, rivers with oil waste coming from storage sites were flooded, polluting agriculture lands. Again, the Color Infrared (vegetation) band option helps creating the contrast to visualize the oil spreading over the land. 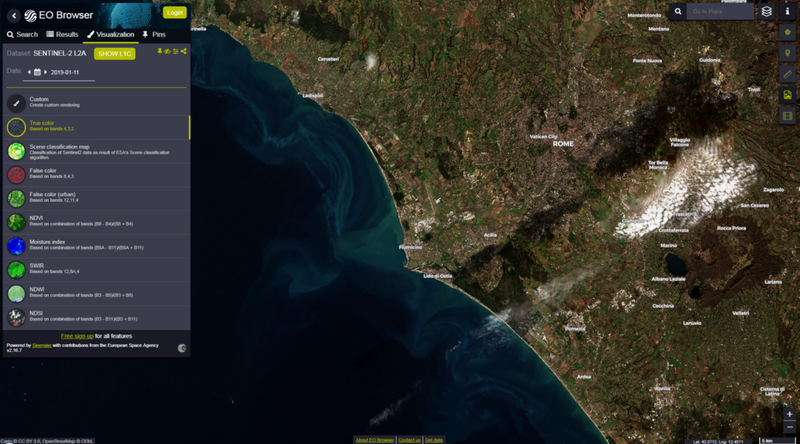 The rapid publication of Sentinel-2 data and incorporation of the imagery in the EO Browser provides an up-to-date overview of the situation on the ground. However, there are some obvious and less obvious limitations in its application. Cloud cover often limits the view over the area, and in particular in conflict regions with more rainfall, e.g. in South-America, south-east Asia, West-Africa and the Caucasus. This hinders the use of satellite imagery for rapid review of ongoing violence. Another limitation is the low resolution of the imagery. The current 10 meter resolution is helpful in identifying large changes in build-up areas or detecting changes in the environment, though specific details, e.g. damage to a industrial facility would require high-resolution. This is why we often verify Sentinel-2 imagery with Planet Labs (3m resolution) or Terraserver (0.3–0.8m resolution). Lastly, not all environmental pollution is visible on imagery, thus ground-research and community engagement to identify all potential sources of conflict-pollution and environmental damage remains crucial. As mentioned earlier, our use of Sentinel’s Hub EO Browser has been made possible due to the user-friendly interface that provides amateurs like us to still utilize the imagery. This also has driven our interest to professionalize our work, and look how environmental change in conflicts can be monitored in a more substantial way, e.g. quantify the loss of agricultural land due caused by destruction water infrastructure, deforestation by military means or because a desperate population needs firewood, change in land-use, impacts of river changes due to hydro-politics. There is also an opportunity for the GIS community to educate a broader audience, consisting of civil society organisations working on land rights, natural resources, environment, human rights, disarmament and conflicts to utilize the data available. This democratization of data and open-source investigation can bolster transparency and accountability mechanisms and help preventing and minimizing the impact of conflict on the environment and civilians living and working in affected areas. Wim Zwijnenburg works as project leader Humanitarian Disarmament at the Dutch peace-organization PAX. 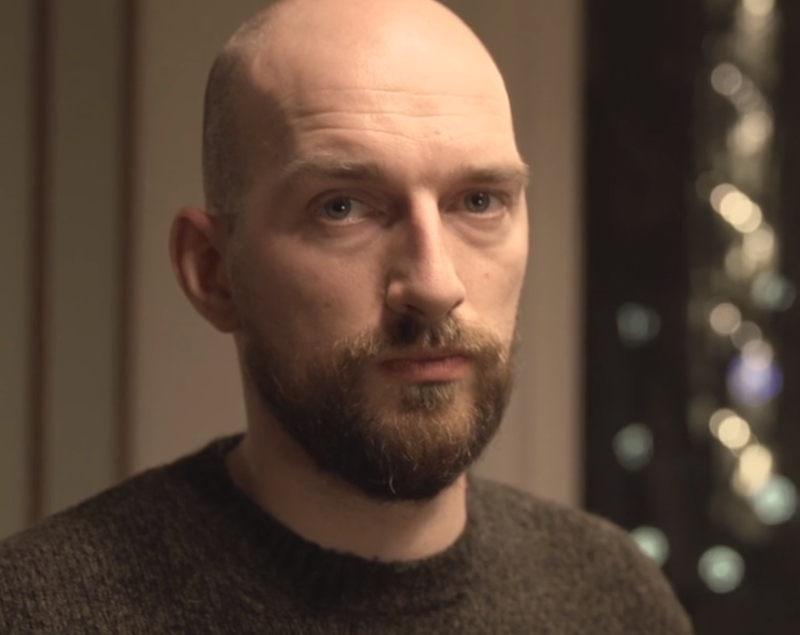 His work focuses on (open-source) research and advocacy related to conflict, environment and human health and has published research on conflict-pollution subject in the Middle East and the Ukraine. He also is coordinator of the European Forum on Armed Drones and a contributor to the Bellingcat open-source research collective. PAX won the 2017 UN Environment/UNOCHA Green Star Award for their work on conflict and environment in the Environmental Emergency, Preparedness and Response category for their professionalism and leadership in the protection of civilians during war and armed conflicts.